Yes, I really made a bright red flannel petticoat! This is a great idea! I think I would fall behind though. Hi Clair! 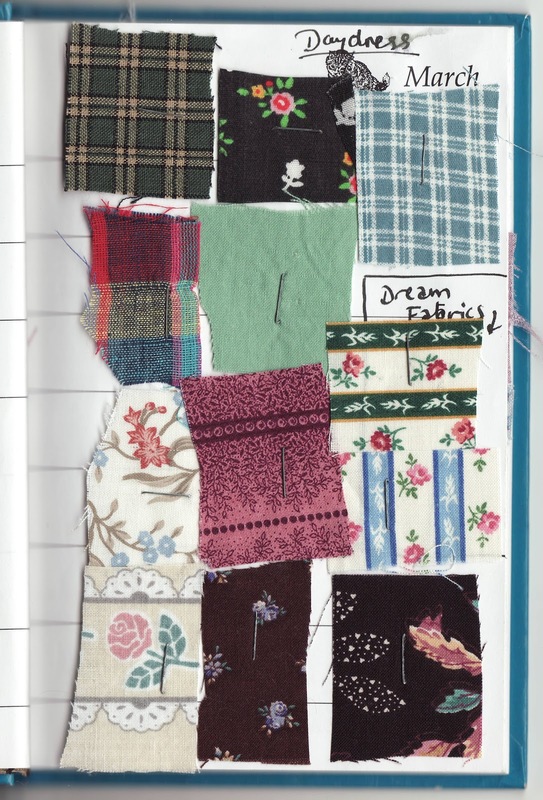 If the fabric diary and a stapler are always handy, it's super easy to snip a scrap and stick it in as you go. It would be neat to have a fabric diary for your quilts! I recognize a lot of those fabric pieces!! :) What a great idea! Ahh... to be sewing again. My sewing machine arrives in a few months! Hey Emily! I think I even kept scraps from your dress. Did you see the picture of you with me in the "Historical Threads" tab? :-) It's always nice to get back into sewing again after a long absence.